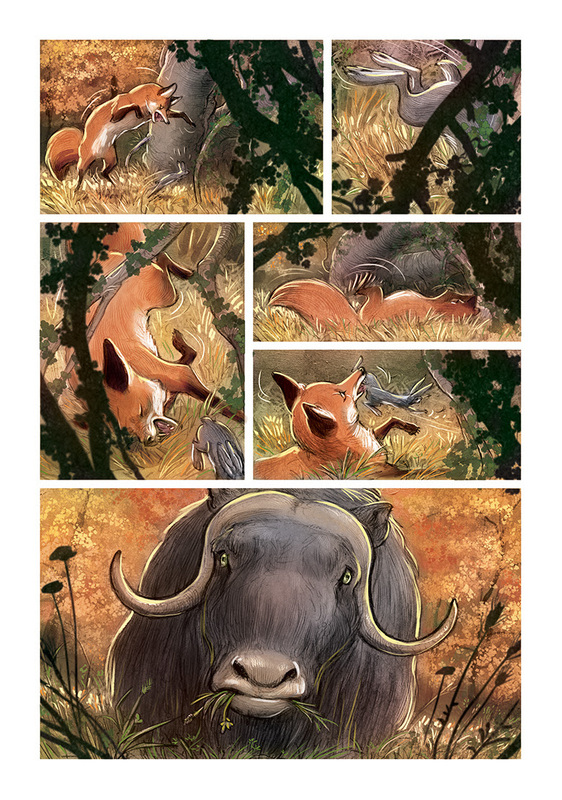 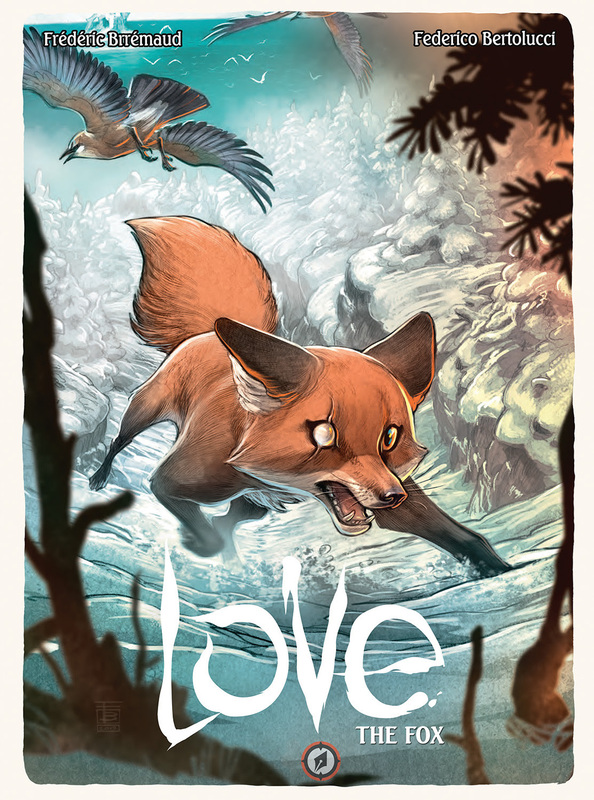 The Fellowship has obtained a first look at LOVE: THE FOX from Magnetic Press. 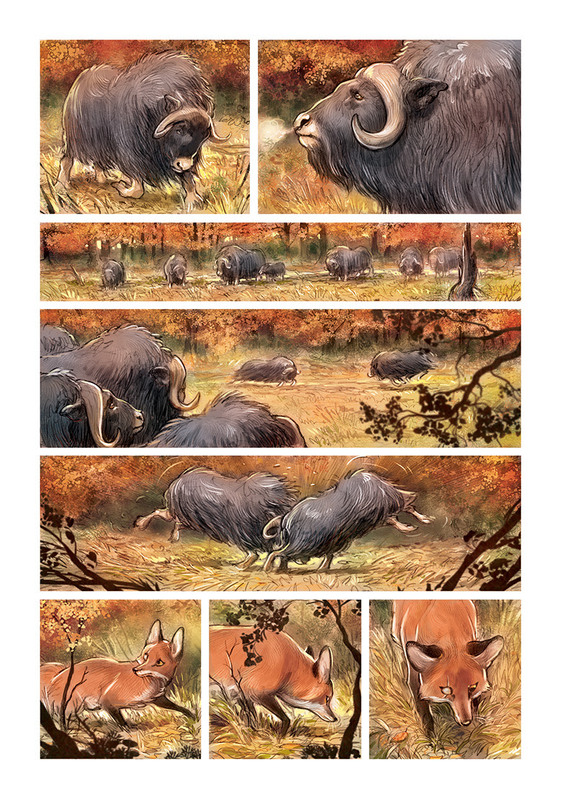 The graphic novel, which hits stores October 28th, is written by Frédéric Brrémaud with art by Federico Bertolucci. 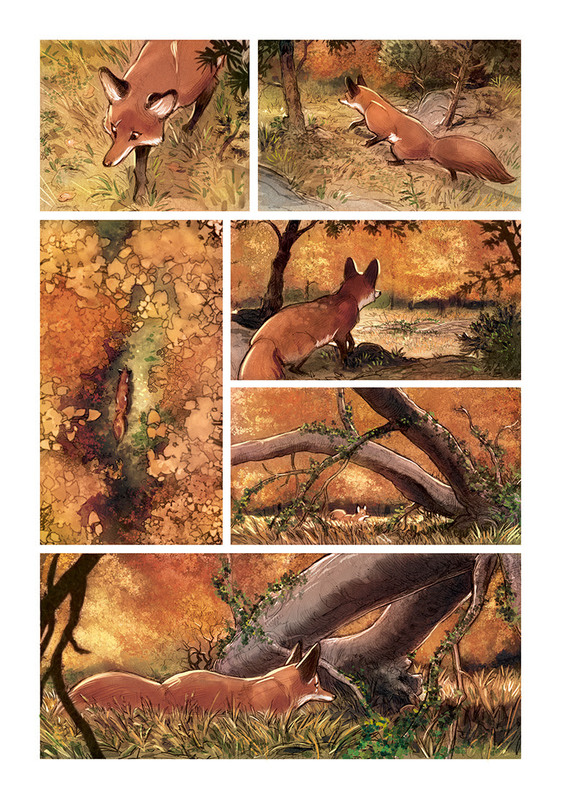 It’s not easy being one of the smaller predators in the woods, competing with an entire woodland population for scraps along the food chain. 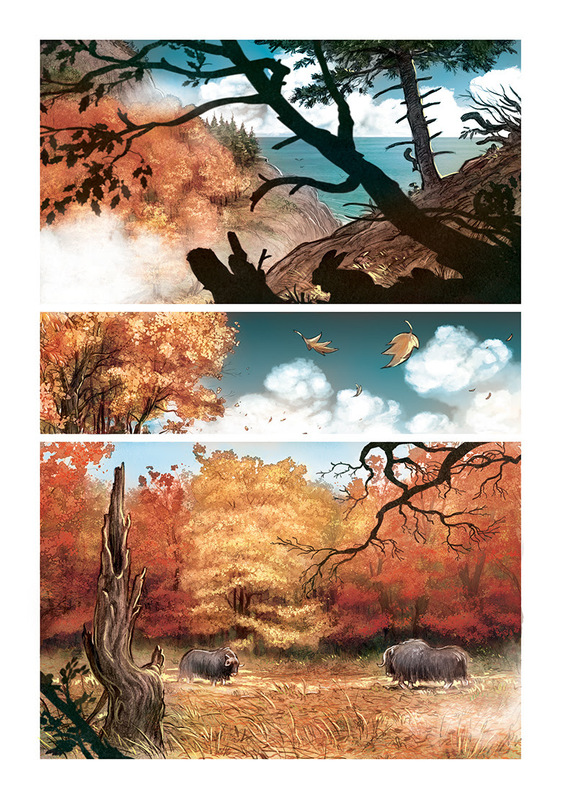 But when nature throws cataclysmic weather into the mix, it becomes a race for survival… and Love.